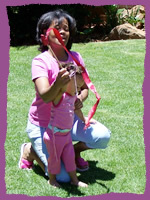 Toddlers from 18 months to 3 and a half years join our Terrific tumblers group. In this group we start off with basic gymnastics and movement working with Gymnastic equipment. They learn about motor planning and through this, learn about problem solving. 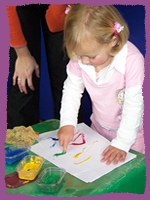 Fine and gross motor coordination and manipulative skills are developed through imaginative games. Listening and comprehension skills improve as we increase structure and add more difficult gymnastics and tumbling. Parental involvement is gradually decreased.